Every July, the lucky owners of Cornish holiday homes set off for their annual break. Loading their estate cars with dogs, cats, casefuls of wine, difficult adolescents and rebellious toddlers, they close up their desirable semis in smartish London suburbs - having turned off the Aga and turned on the burglar alarm - and look forward to a carefree, restful, somehow more fulfilling summer. Clare is, this year, more than usually ready for her holiday. Her teenage daughter, Miranda, has been behaving strangely; her husband, Jack, is harbouring unsettling thoughts of a change in lifestyle; her small children are being particularly tiresome; and she herself is contemplating a bit of extra-marital adventure, possibly with Eliot, the successful - although undeniably heavy-drinking and overweight - author in the adjoining holiday property. Meanwhile Andrew, the only son of elderly parents, is determined that this will be the summer when he will seduce Jessica, Eliot's nubile daughter. But Jessica spends her time in girl-talk with Miranda, while Milo, her handsome brother with whom Andrew longs to be friends, seems more interested in going sailing with the young blond son of the club commodore. Unexpected disasters occur, revelations are made and, as the summer end, real life will never be quite the same again. I read the book aged 16... So about 20 years ago. There's elements which are endearing. 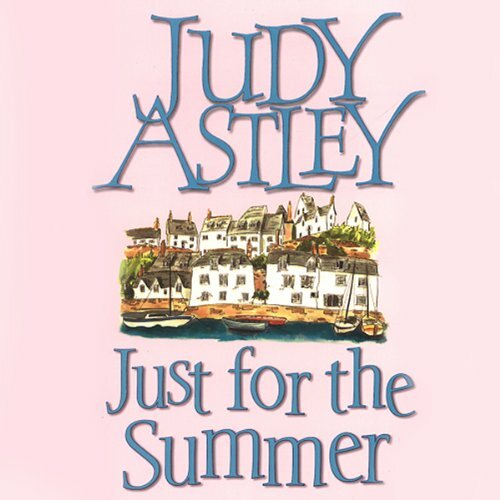 Astley captures holiday life nicely along with the foibles of family holidays which I'd not appreciated as a teenager. On the downside it's hard to feel sorry for people with two houses and modern teenagers are simply too glued to their phones nowadays to take notice of anyone, let alone actually talk to anyone in person. Rachel Atkins performance is great, I have it four stars simply because her interpretation of Elliott made him sound like he had speech aphasia. Until I realised she was doing an Irish accent. You'll get over this pretty quickly.